Outside of House Reflecting Wind Turbines in Distance. 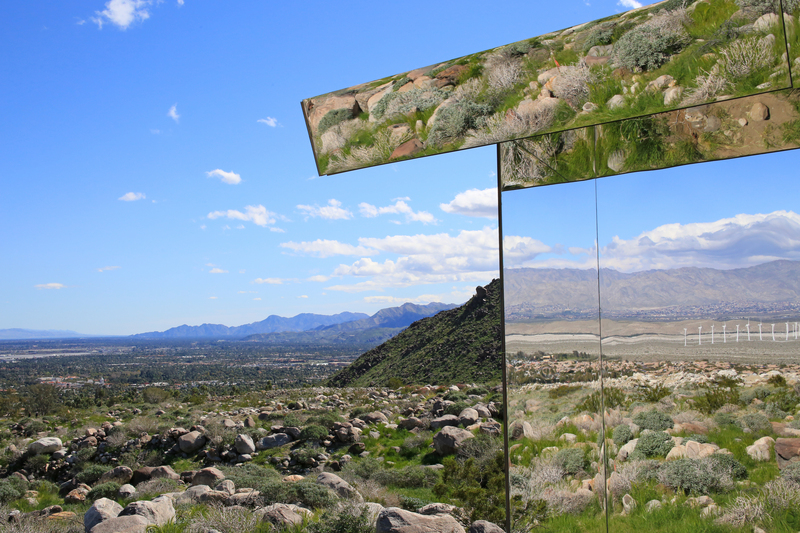 Art installation named “Mirage” by Doug Aitken. An exhibit for Desert X on view throughout the Coachella Valley, Palm Springs, California, February 25-October 31, 2017.